Regional Winners of the HSA Ocean Safety Art Competition Megan Roche and Peter Walsh at the book launch of "Too Cold for Sharks" in Croke Park. 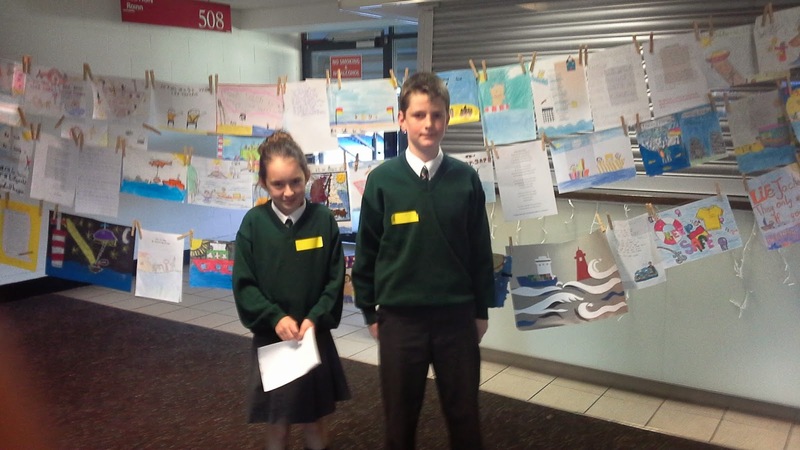 Carrick-on-Suir Lions Club Peace Poster Competition. Best of Luck Abigal in the National Finals. narrowly defeated on Friday 5th December by St. Michael's N.S.